Fr. Dean is on sabbatical from April 22 until September 1, 2019. During that time Deacon Arleen is appointed Deacon in Charge. As rector of St. Aidan, Fr. Dean is responsible for sharing with Bishop Rob in the nurture of the parish. 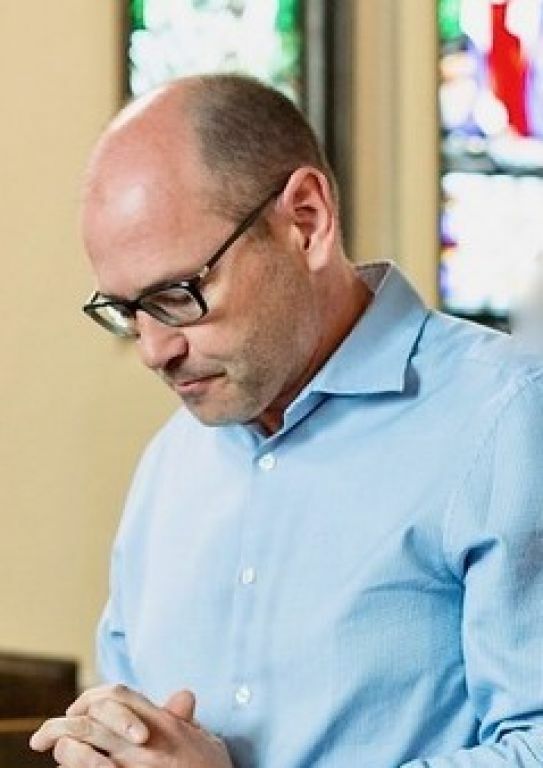 In this role, he endeavours to provide prayerful, thoughtful, and theological leadership for St. Aidan’s vision and mission to Moose Jaw and beyond. He meets with people to love them and hear what God is doing in their lives and he takes great joy in seeing people released into ministry. He is passionate for God and thus prayer and Scripture are at the heart of his life. Fr. Dean received his B.A. in English from the University of Regina; a Master of Divinity and Master of Theology from Regent College; and a PhD in New Testament from Durham University (St. John’s College). He began his ministry as a college professor teaching New Testament and History. He was ordained a Deacon in 2009 and priested in 2010. Although he only became interested in books later in life, he now enjoys reading a lot. In the daytime he often reads from Augustine, John Chrysostom, Hans Urs von Balthasar, Eugene Peterson, Gordon Fee, and John Barclay; in the evening he often reads from Frederick Buechner, Ellis Peters, J.R.R. Tolkien, and C.S. Lewis; but in the mornings (especially Mondays) he often reads from George Herbert, G.M. Hopkins, Denise Levertov, Luci Shaw, Seamus Heaney, and Malcolm Guite. Fr. Dean is also committed to writing; he is currently working on a commentary on the Book of Acts (The Story of God series with Zondervan Publishing). When he can afford the time and money he likes to golf. In the summer he tends to his beloved vegetable garden. Throughout the year, he delights in the company of his wife, children, and his many friends – preferably over a good glass of wine!